The changes will help Starbucks (SBUX) eliminate more than 1 billion plastic straws per year, the company said. 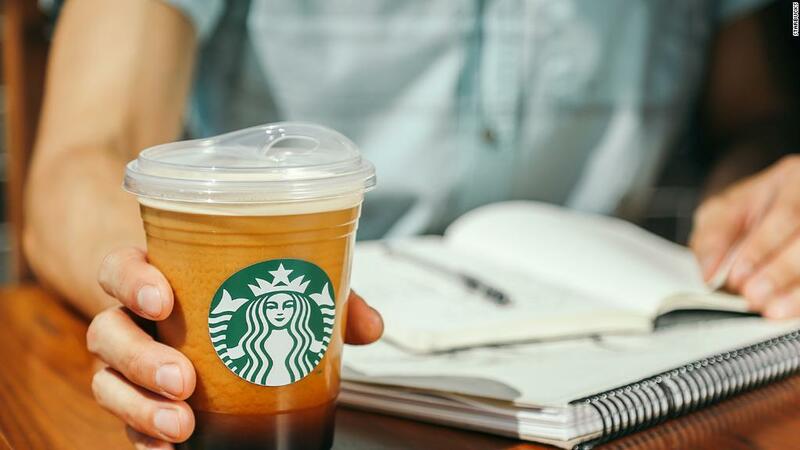 To eliminate straws, Starbucks is transitioning from the flat, plastic lids that require them, to ones that feature a raised lip you can drink from. The new designs have drawn comparisons to an adult "sippy cup." In a statement, CEO Kevin Johnson called the move away from plastic straws a "significant milestone" in the company's sustainability efforts. 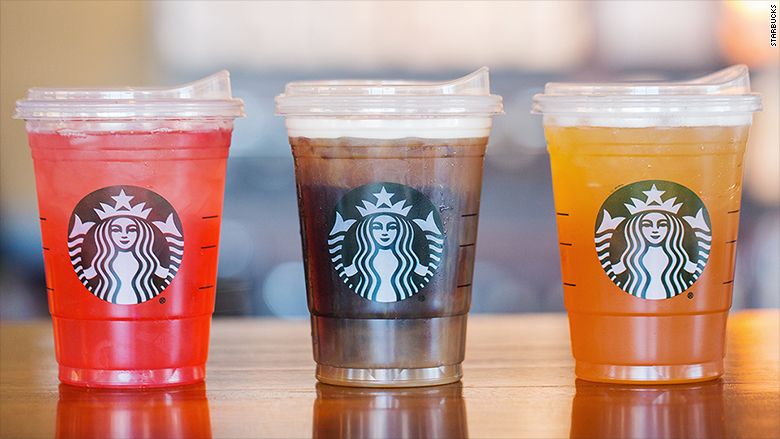 Starbucks will start rolling out strawless lids for all drinks in the fall. Other companies have been ditching plastic straws as bans have gone into place. Hyatt (H) announced Monday that single-use plastic straws and drink picks will be available only on request at its hotels beginning September 1. The company plans to phase them out completely. Last month, McDonald's (MCD) said that it would start switching to paper straws in the United Kingdom and Ireland in September. The transition will be complete in 2019, the company said. The announcement from McDonald's followed an April proposal by the UK government to ban plastic straws in the country. In May, the European Union also suggested a ban on some plastic items, including straws. In the United States, local governments are already putting similar restrictions into place. Seattle's ban on plastic straws and utensils went into effect last week. Oakland and Berkeley, California, and other cities have also banned the use of disposable straws. "Plastic straws that end up in our oceans have a devastating effect on species," said Erin Simon, director of sustainability research & development and material science at World Wildlife Fund, US, in a statement. "We hope others will follow in [Starbucks'] footsteps." Nicholas Mallos, director of Ocean Conservancy's Trash Free Seas program, called Starbucks' decision a "shining example" of how companies can help fight ocean pollution. "With eight million metric tons of plastic entering the ocean every year, we cannot afford to let industry sit on the sidelines," he said in a statement. — CNN's Laura Smith-Spark contributed to this report.